Episode 172 – Smoke a Pack of Goblins! 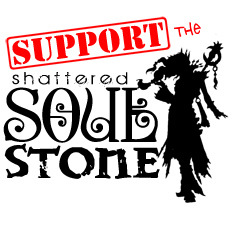 Rowna joins us for this episode of the Shattered Soulstone! We are now a few weeks into the new season and everyone is going strong! Bounties a plenty this season, is there a reason? Goblins maybe? Listen in as Deadgreed continues his lament for his menagerist goblin hunt to get his mimic pet. If you are looking for Diablo lore, check out The Book of Jen and listen to her amazing lorecorner episodes! Rowna has a Necro support build to run that will help bring you to greater rift 100 or more. Listen in to find out more! * Bounties and Goblins galore! The search is on for menagerist goblins for all of your pets! * Rowna shares his Rat-Run Necro build.